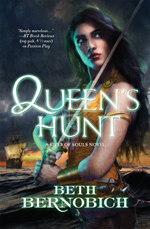 Queen's Hunt is the second title in Beth Bernobich’s River of Souls novels, following her startling debut, Passion Play. Filled with dark magic and sensual images, this is fantasy writing at its best. Ilse Zhalina has left to start a new life in a garrisoned fort, leagues from her estranged lover, Raul Kosenmark. The violent quarrel that ended Ilse and Raul's relationship was quite public. And also, quite fake. They hope to mislead Kosenmark's enemies so that he can continue to influence the politics of the kingdom in an attempt to stave off an ill-advised war, while keeping Ilse safe from royal assassins who would kill anyone Raul is close to. 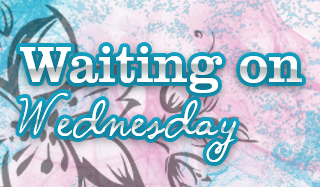 Ilse longs for Raul, but is set on her own quest to find one of the three fabled jewels of Lir. One of the jewels is held by King Dzavek, sworn enemy of Veraene, who has used the jewel's power to live for centuries. Ilse seeks one of the other stones to counterbalance Dzavek's efforts to destroy her country. This book sounds pretty interesting. I haven't read any of her books before, so I will have to check it out sometime. Never heard of this series or the author but it sounds interesting. The girl looks fierce on the cover.